Take back your nights and weekends with HindSite's pool services software. 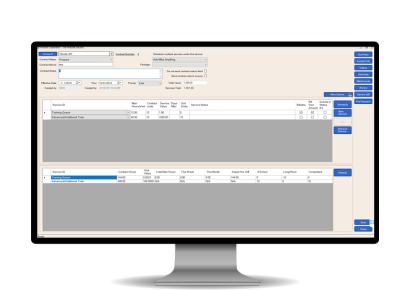 HindSIte delivers the paperless tools you need to manage customer information, schedule and route your teams, track parts and chemicals and invoice immediately. Streamline Your Pool Service Business. Take Back Your Nights and Weekends. From quickly mass scheduling your pool opens and closes to electronically capturing chemical readings, HindSite saves you time. Wouldn't it be great if you could quickly access your chemical dosing history in the field? With HindSite you can do that and much more thanks to a completely electronic process. We don't make you fit your business to our software. 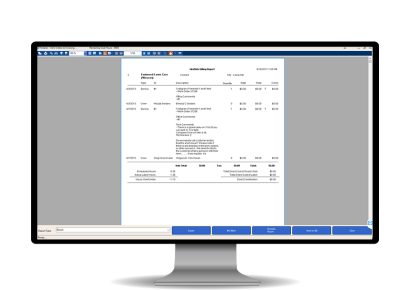 HindSite is the most configurable software around, making it easy for you to implement and use. Whether you need to mass schedule pool opens and closes, schedule repairs, or create a pool maintenance route, HindSite has the scheduling tools you need to quickly schedule customer visits that are most efficient for your business. Need to schedule an emergency repair? 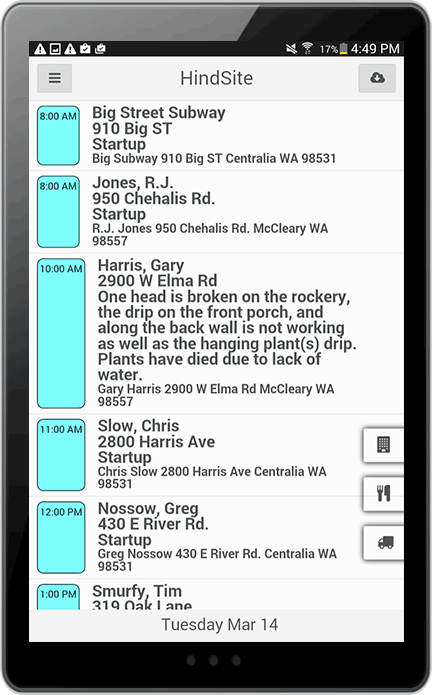 HindSite shows you who is nearby while you're scheduling, so you can maximize your efficiency and put out any fires that may arise with ease. Mass scheduling multiple jobs is a breeze. With our map-based mass scheduling, you'll see every customer on a map and can add them to your schedule with a few mouse clicks. HindSite's color-coded scheduling tells you where your technicians will be every hour of every day. Plus, you'll be able to see completed and in-progress jobs, giving you real-time information about the day's progress. Armed with our iOS or Android app and a tablet or smartphone, you can retrieve complete job details in the field. Plus, you'll capture chemical readings, view a complete history of prior chemical results and enter any parts used during a repair. Don't you hate it when you clean a customer's pool in the morning and they return that evening to a pool full of leaves - and question whether you were there? 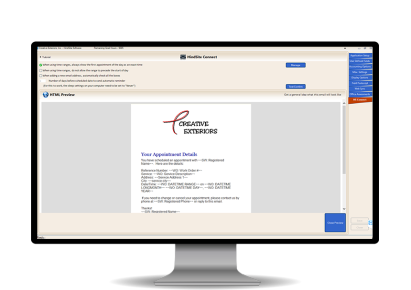 With HindSite you can take a picture when you're done as part of an assessment and deliver that picture to your customer as part of a completion email. How many of the pool repair parts that you install go unbilled? If the answer is more than none, then HindSite can help. By electronically capturing information in real-time in the field, you ensure that every part is tracked and billed. HindSite helps you store unlimited information about your customers. 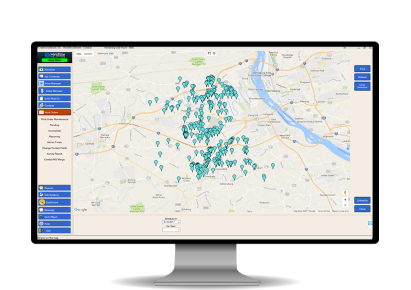 Whether you want to note what kind of pump a pool has or save the gate code, HindSite makes it easy to track any piece of information thanks to unlimited user defined fields and data-collecting assessments. HindSite not only helps you improve your operational efficiency, but also includes tools like our Sales Manager that simplifies marketing and sales management so you can grow your business. HindSite's Sales Manager is designed to help you manage your sales opportunities so you can plan more effectively. If you have a lot of open contract estimates that you expect to sell, it might be time to consider hiring additional help. If you don't have any opportunities in your funnel, it may be time to try some marketing campaigns. Wonder what marketing tactic delivers the most revenue? HindSite's marketing campaign management helps you track and measure each campaign. Plus, with our email marketing add-on, HindSite Connect Pro, you can add emails to your campaigns to streamline the entire process. You can't improve what you don't measure. 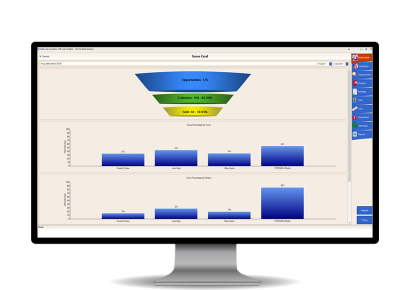 HindSite's sales dashboard delivers the metrics you need to determine your sales performance. From time and material to flat-rate to contract billing, HindSite has the flexibility to simplify your billing. Plus, our two-way QuickBooks sync makes it easy to take all that data you've collected throughout your process, send it to QuickBooks and create invoices. Stop spending nights and weekends on billing paperwork. HindSite's advanced two-way sync enables you to send contacts, invoices and more between HindSite and QuickBooks. Time and material? Monthly contract biling? Flat-rate billing? Per visit contract billing? Whatever your billing rule, HindSite can handle it, ensuring you don't have to change the way you make money when you implement our software. Because you're collecting information electronically throughout your business process, it's easy to send it over to QuickBooks so you can create detailed, informative invoices. HindSite makes it easy to manage every detail of your contracts, scheduling the entire contract, managing the included services, and billing it monthly or after each visit. HindSite's maintenance contract management enables you to schedule every contracted visit with a few mouse clicks. If you find it difficult to track each of the different services required for every contract, you need HindSite. You can create contract templates for common contracts and customize the services in each contract per customer requirements. Whether you want to bill after every visit, monthly or annually, HindSite streamlines your billing process. HindSite Connect, our automated email add-on, makes it easy to up your customer communication game. HindSite Connect includes automated completion emails that are sent after you've completed your work. Plus, you can include data like when the work was completed, what work was done and even a picture of your work. HindSite's confirmation email makes it easy to add every pool open or close appointment to your schedule and then send an email to your customers to confirm the date and time of that appointment. HindSite Connect Pro enables you to send a customer satisfaction survey after each service. You'll be able to identify who's unhappy - so you can improve that relationship - and who's happy - so you can leverage your happy customers for reviews and references. The all-in-one solution for your irrigation business. See how the HindSite Solution can help you. Check out our resources anytime, anywhere. In addition to software, we’ve got educational resources to help you control and grow your lawn maintenance business. Copyright © 2019 HindSite Software. All rights reserved.